 American Falls, Idaho is a city that can fully appreciate a place like Heber Hatchets Axe Throwing. Axes, flannel, lumberjacks, friendly competition, and beards—that’s what we’re all about. We don’t have any potatoes at Heber Hatchets, but besides that—we’re about as “Idaho” as it gets! That’s why we’re pleased to have opened one of our axe throwing venues right next door to American Falls. We’re just 30 minutes away, over in Pocatello! Axe throwing is quickly becoming a popular new entertainment experience nation-wide, and we’re thrilled to have brought it to this neck of the woods! Many first-timers arrive a little bit unsure of what to expect, not knowing if they’ll enjoy it or not. But we love how many times those people leave as exuberant axe throwing fans. Once you get a taste for it, it’s hard to leave it alone! 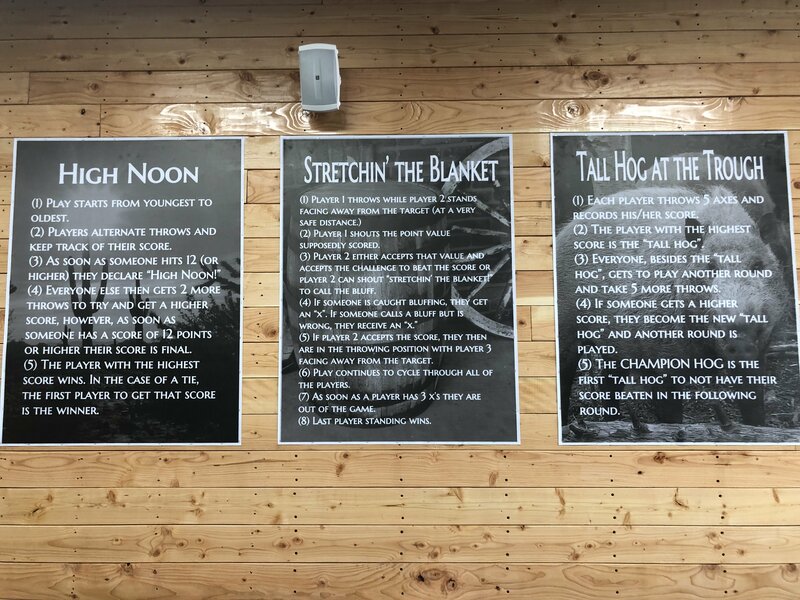 The axe throwing games at Heber Hatchets involve throwing your axe at a wood target to score points for yourself or your team. Points are awarded differently depending on which game you are playing. There is a wide variety of lumberjack games available, so you’ll never get bored. 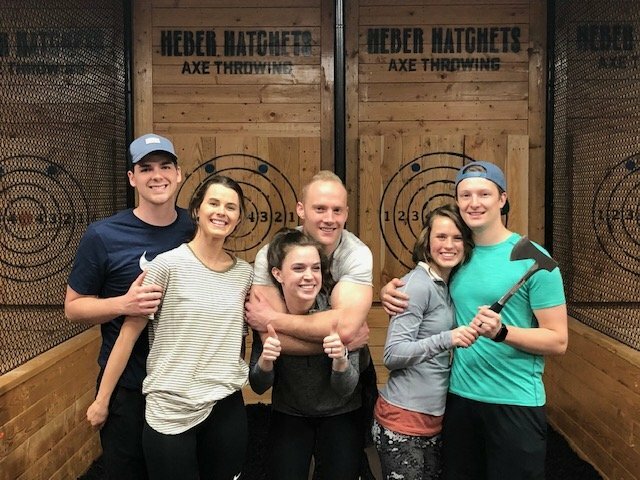 After the success we’ve seen at our previous locations, we are confident that axe throwing will soon become a favorite go-to for a date night, corporate events, or just some weekend fun with the family. But you’ve got to try it out for yourself to see what all the hype is about! We do take walk-ins at Heber Hatchets—Pocatello, but we can only take them depending on current availability. We would hate to have to turn you away, especially if you’re coming over from American Falls. If you want to be sure to get in right when you arrive, it’s best to make a reservation in advance. You can do so through our online booking system here on our website, or you can give us a call at (208) 252-5034 to set it up over the phone. Get ready to unleash your inner lumberjack!